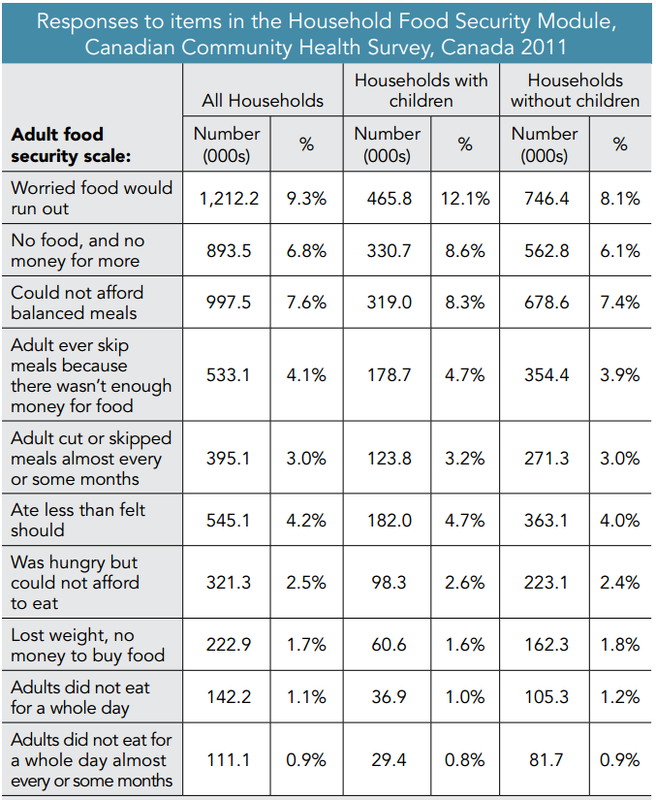 When we think more food banks (or more food to existing food banks) is a solution – we are on the wrong track. Helping people have access to affordable and nutritious food should be our priority along with teaching children how to budget, shop and prepare what will truly “feed” their bodies. Not only will this clear up some of the food insecurities but also a bunch of other health/dental issues that plague the poor. …but it is much easier to give a few cans of soup and feel like we have done our part! I agree with the writer before me, we have whole generations of people who rely on getting food from supermarkets, convenience stores and restaurants and if you are living in low income, your choices are that much more restricted. Currently we are working on preparing an Edmonton Vital Signs Food Security Report which will be released on October 1st. During this project my awareness has grown exponentially regarding the many agencies and individuals who are working hard to help address the issue of food insecurity in our community. There is much work that can be done, like growing fresh vegetables for the food bank, teaching our next generation how to prepare and store food (canning) and encouraging people to get involved in collective kitchens.